If you have missed the live streaming of the Canonization of Mother Teresa of Kolkata, here is a video for you. Watch it at your own convenience. With the courtesy of Salt+light Media we provided the live streaming of the Canonization of Mother Teresa of Kolkata and you can still go back and watch again. Just click on the “Live Event Video” on the top bar of the site. If not please find below the video from Vatican TV. The below video is from the Vatican TV of the Canonization of Mother Teresa, Watch it at your own convenience. Courtesy – Vatican TV. Part of the video of the event took place day for before Canonization of Mother Teresa on September 03, 2016 where Usha Uthup performed along with some other talented artist. 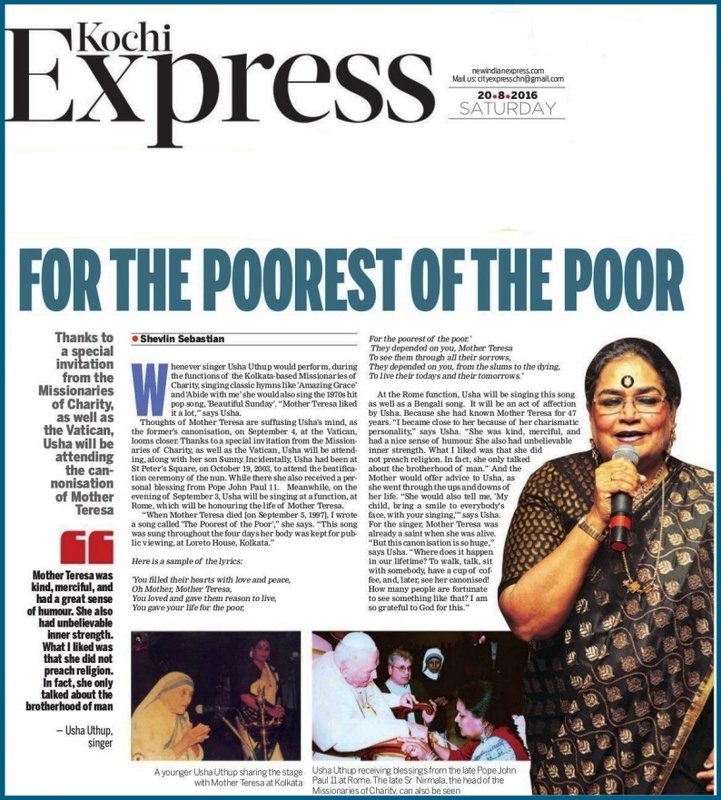 Usha Uthup is invited to perform in Vatican on September 03, 2016 as a part of Mother Teresa’s Canonization ceremony.